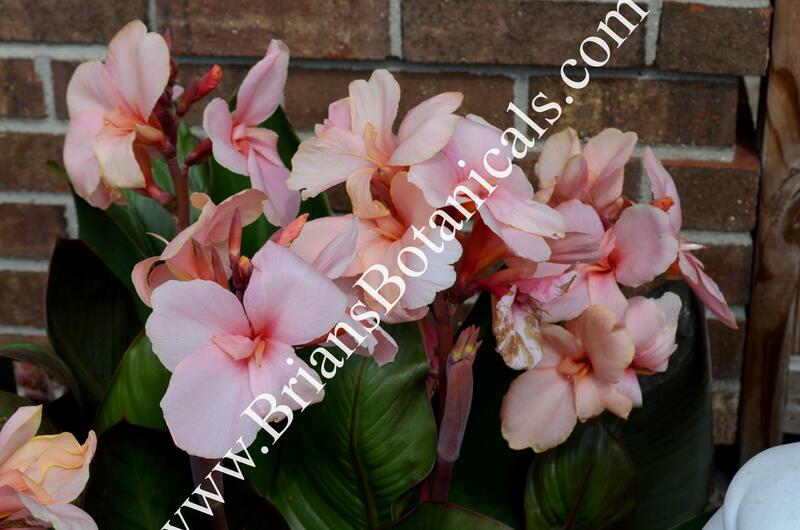 Canna Baby Girl Pink a dark purple leaf dwarf canna growing from 3 to 4 feet tall with light pink medium size flowers. A great contrast in any garden or container. Plants grow fast and flower all summer.